Do you know what’s special about surprises? You can never expect them and you never know how to react to it. That’s how the Bavarians at BMW have gotten me at this point because an M3 pickup, that’s pickup was spotted running round the infamous Nurburgring racetrack. I’m still struggling to completely understand the situation and whether or not the BMW M3 pickup is a student project like the Mercedes B55 AMG was. Even so, I can’t help but feel about how tail happy this car would be if it ever wound up being made. I’m just chuffed at the idea of dying in one of these things. I mean, people talking about how happy you were when you hit that tree backwards and on fire in a 4.0 liter V8 engined BMW M3 pickup is really the way I want to go. 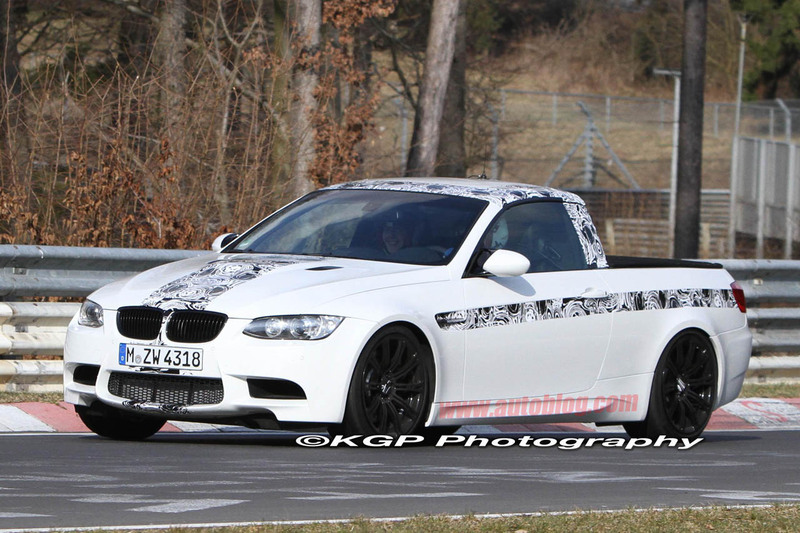 Dreams are nice but since its going round the Nurburgring this BMW M3 pickup is probably quite the ultimate driving machine. 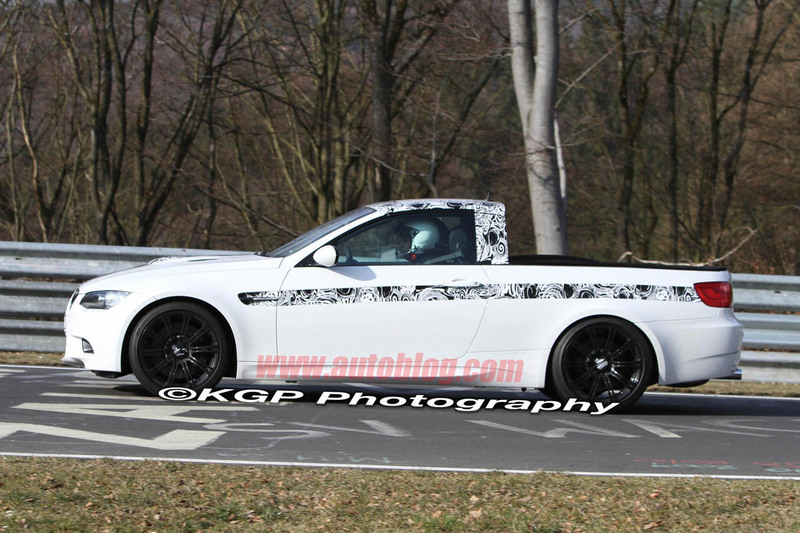 Whether this turns out to be a BMW M division moment of fun or a really elaborate April fools day joke I’m definitely interested in finding out more about the M3 pickup.